The Novatones have been invited to take part in this year’s Soccer Sixfest at Mile End Stadium in London on Sunday 17th September 2017! Soccer SixFest celebrates 21 years of Soccer Six this year and is going back to its strong musical roots! Staged at Mile End Stadium, where the first ever Soccer Six events took place – made famous by Oasis and Blur. Soccer SixFest is a fusion of football and music with an outdoor festival vibe where everyone’s a ‘VIP’. ! 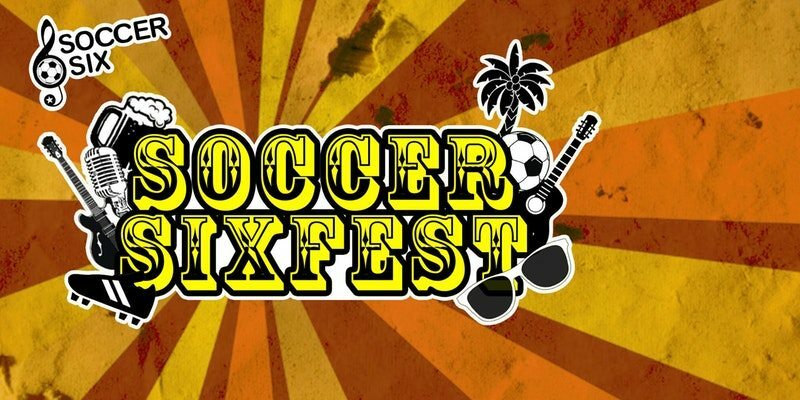 Musicians from the world of Rock & Indie, and appropriately chosen celebrities from TV, sport and film will compete in a number of football tournaments across the festival to see who will be crowned a Soccer SixFest Champion and take home the silverware. When the football ends, all ticket holders can expect to see a selection of the line-up take to the Soccer Six ‘LIVE’ mainstageto perform some of their songs. A great range of food and soft drinks will be available to purchase for all attendees plus we have exclusive ‘Over 18s Only’ bars to purchase alcoholic beverages. For Monies Sake: Bonus Edition – Out Now! August Bank Holiday Weekend looks like fun! !